Cataracts are something that most people have to deal with it at some point in their lifetime. They progress gradually and can be quite tedious to take care of. Cataracts are when the natural lens of the eyes, which lies directly behind the pupil and the iris, cloud over. They are the top reason why people over 40 years of age lose their vision. In order to know how quickly cataracts progress, we have to know the different types of cataracts. 1. Subcapsular Cataract This kind of cataract happens at the back of the lens. People are at a higher risk of developing this particular kind of cataract if they take very high doses of steroids or if they have diabetes. 2. Cortical Cataract The cortical cataract is mainly distinguished by the wedge-like opacities starting in the periphery of your lens and working their way through to the center, similar to a spoke-like fashion. This cataract occurs mainly in the lens cortex, a part of the lens surrounding the central nucleus. 3. Nuclear Cataract Forms in the nucleus of the lens. These are the cataracts that are most associated with aging. There are many factors that can cause cataracts. Aging is always one of the reasons. AS our retina is made up mostly of water and protein. When we age, the special arrangement of the protein in our retinas get disassembled and clump up together forming cataracts. As time goes by, the cataract grows, covering more of the lens and making it marginally more difficult to see.  Previous inflammation or injury to the eye. How quickly do they progress?  Environmental factors – especially when you’ve had a lot of exposure to ultraviolet rays.  Diseases – like diabetes, vitamin deficiencies, and other medical conditions.  Medications – especially medicines that reduce cholesterol levels and steroids. 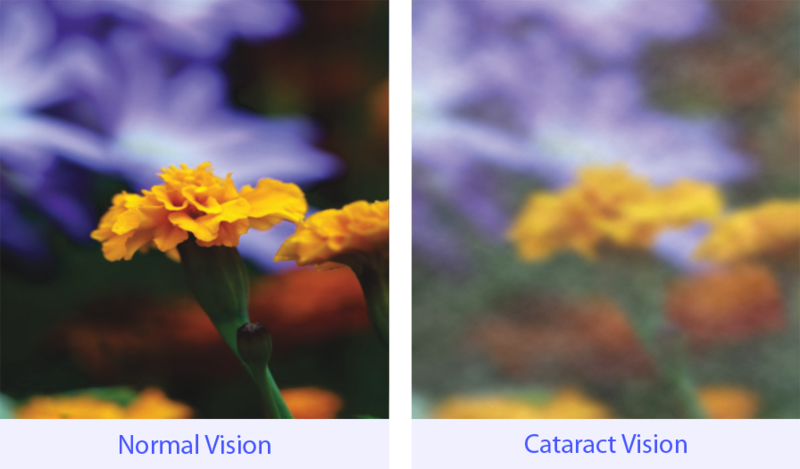 There are various stages of cataracts and you won’t be needing surgery until your they affect your vision significantly. You can, however, treat the cataracts at earlier stages nowadays, due to the increased safety and accuracy of laser cataract surgery technology.